The 7mm-08 Remington is a direct comparison to the 1958 Wildcat know as the 7mm/308 hence the name. It is a .308 Win case necked down to .284 then lengthen just a tad. This cartridge is finding its place in the long-range target shooting and hunting world for a few different reasons. It has longer range than the .308 Win with less recoil. The 7mm-08 Remington Match Grade Cartridge is manufactured on Peterson Cartridge’s new, state-of-the-art case line which uses cutting-edge technology to produce some of the most precise and consistent casings on the market. 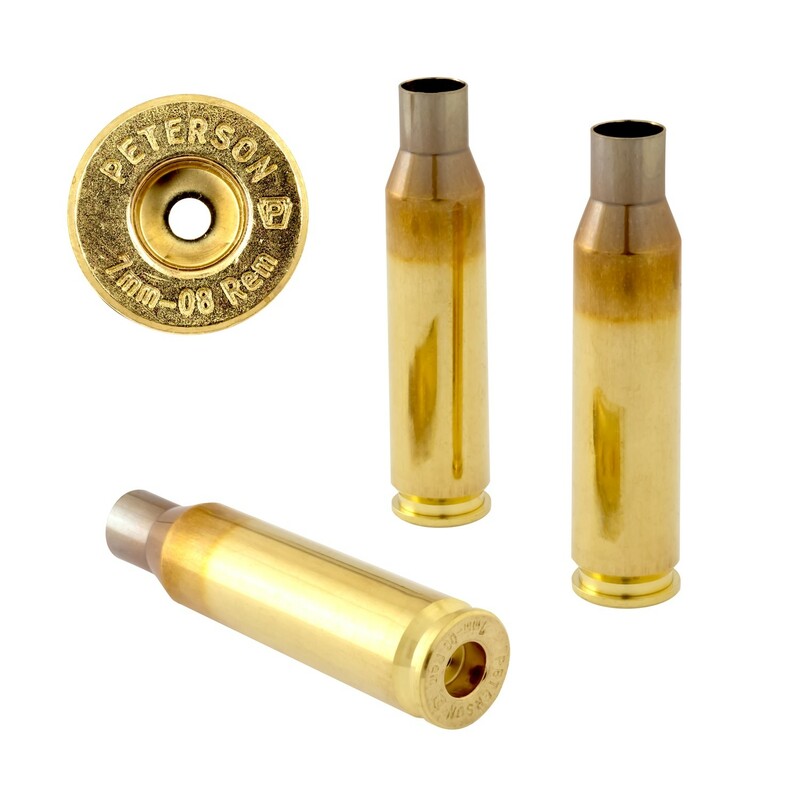 Peterson Cartridge Co is committed to producing Match-Grade Brass that enables our customers to get more reloads per casing than industry average.